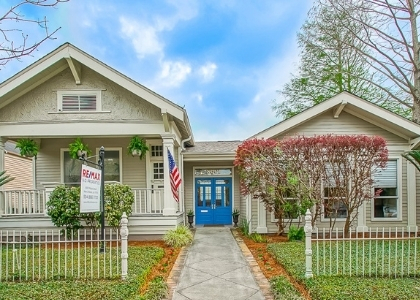 The Uptown National Register Historic District, beginning upriver of the Garden District and stretching to Broadway, is a self-contained residential world. The passage between Audubon Park and Tulane and Loyola universities is one of the prettiest in New Orleans. Just beyond Tulane, Audubon Place is a private street where some of the city’s showiest turn-of-the-century mansions sit on 100-foot-wide lots. Some of the best private and parochial schools in New Orleans make this neighborhood attractive. Because smaller shotgun and camel back houses are so abundant, especially close to the Mississippi River, Uptown draws renters and younger homeowners as well.